Spending time near water drew Alex Primus to a veterinary medical career focused on aquaculture. Raising fish for food perfectly illustrates the One Health concept the College of Veterinary Medicine has promoted for many years to describe the interdependence of animal, human and environmental health, says Alex Primus, assistant professor in the Department of Veterinary Population Medicine. Primus, who joined the University faculty in 2016, investigates infectious fish diseases in both wild and farm-raised fish. He’s particularly interested in fish health and disease prevention in the indoor aquaculture of high-value species such as Arctic char, trout and shrimp that are now finding a foothold in Minnesota. “Several groups across the US are now raising food fish in recirculating systems, but it is still unclear how profitable such an enterprise can be,” he says. He returned to the Minnesota faculty to teach and conduct research. He also has connections to the Veterinary Diagnostic Laboratory and University Extension. He often consults with professionals in Minnesota about aquaculture, fish health and disease prevention strategies in aquatic environments. He is currently involved with two aquaculture-related CAHFS projects. 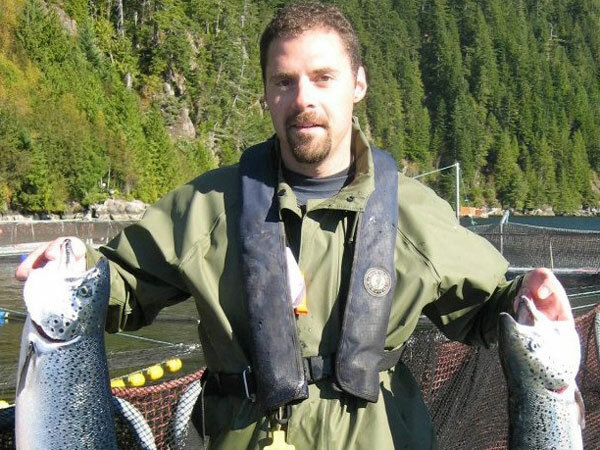 He helped organize a day-long symposium on aquaponics, and he is involved with an aquatic epidemiology project in Chile to identify improved management strategies for salmon culture in that country.